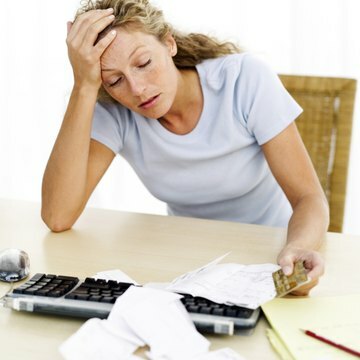 Often your financial rights and obligations after a divorce depend upon where you live. Some states, like California, have a community property system under which all income earned and debt incurred by either spouse during a marriage belongs to the community, to be divided equally between the spouses when the community ends in divorce. Other state's laws provide alternative systems for dividing marital property, and couples everywhere are largely free to predetermine property division by drawing up a valid prenuptial agreement. Knowing what your spouse earns, owns and owes is critical to structuring your divorce demands or creating agreements. Child support -- periodic payments from one spouse to the other to help finance the needs of the couple's children -- is a standard of divorce law in all states. Some states also allow awards of spousal support. Although the specifics of the laws differ, the amount of monthly support is necessarily dependent on the financial circumstances of each spouse. Financial discovery in divorce court allows each spouse to learn the essential information. Discovery is the term used to describe the legal procedure parties to a lawsuit use to ask for and obtain relevant information from one another. Financial discovery refers to the process of specifically obtaining financial information. Different discovery tools exist, including interrogatories, which are written questions the other spouse must answer under oath; admissions, statements the other spouse must admit or deny under oath; depostions, a procedure in which the other spouse or another witness appears and answers questions under oath; and requests for production of documents and other evidence. Discovery generally happens outside of the courthouse, but that does not mean the court is not involved. Parties or their attorneys often mail discovery requests to the other spouse; state laws set the time frame in which the other party must respond. If your spouse does not respond or the answer is incomplete, you can ask the court to require your spouse to answer or provide additional information by filing a motion to compel discovery. Many court battles are waged about what information must be provided in financial discovery. A party exposes himself to civil and criminal penalties by providing false or incomplete discovery. Not all financial information relevant to a divorce arrives during the discovery process. Some states, like California, require each spouse to prepare and file financial disclosure documents as an integral part of the divorce process. While disclosure documents go a long way toward providing each spouse with the other's basic financial information, they are not technically discovery documents. In addition, some spouses do their own research on the other spouse's assets or lifestyle, or hire private detectives to obtain information for them. State Bar of California: What Should I Know About Divorce and Custody?